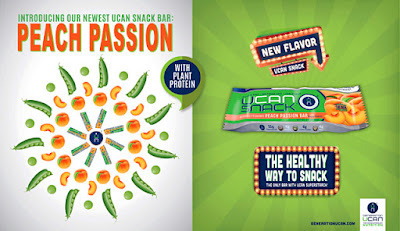 Disclaimer: I received the a sample pack of Generation UCAN Snack Bars to review as part of being a BibRave Pro. Learn more about becoming a BibRave Pro (ambassador), and check out BibRave.com to review find and write race reviews! 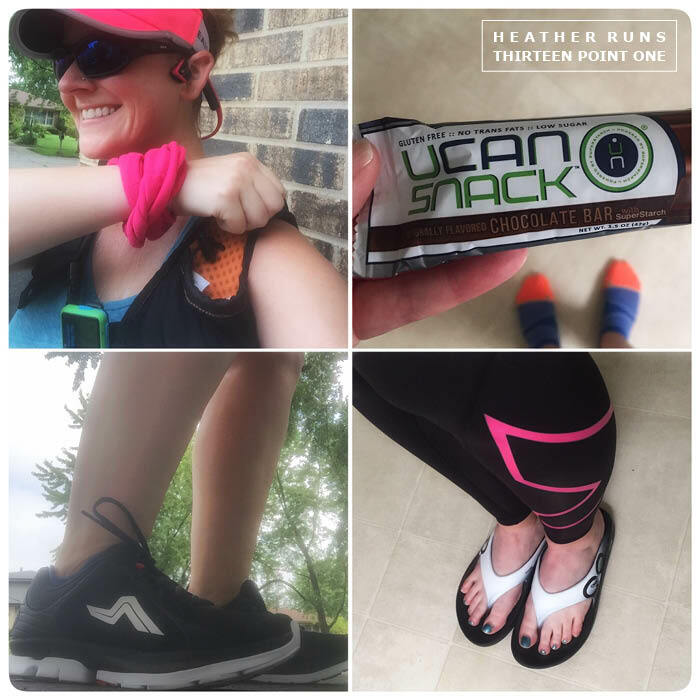 I've never been very good with my running nutrition – before, during, or after my workouts. Part of my problem is if I wake up early, I just can't stomach eating for about 2 hours and honestly, I'm not waking up 2 hours before a run just so I can eat something. For the short runs, it's not a big deal, but I'm obviously missing out on an important step pre-run if it's a longer one. Plus, after a run, it's important to get some protein in ya. I often make a protein smoothie/shake, but I don't always have the time or I'm not home. 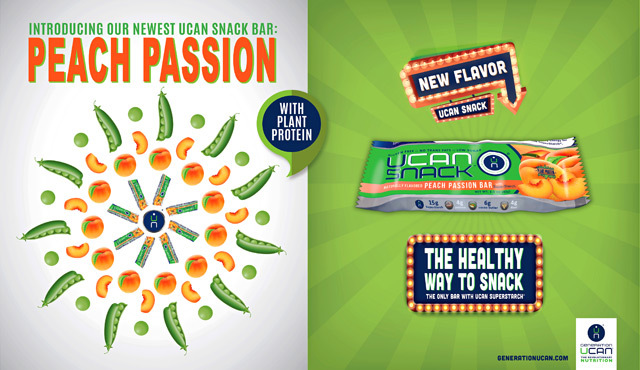 Generation UCAN came up with some snack bar solutions. They come in five different flavors, depending on what appeals to you. If you are interested in trying them all, they also have a combo pack with two of each bar. Flavors include: Peach Passion, Coffee Bean, Cinnamon Swirl, Chocolate, and Chocolate Peanut Butter. In my packet I received two Coffee Bean, two Chocolate, one Cinnamon Swirl, and one Peach Passion. My favorites were Cinnamon Swirl and Coffee Bean (which is surprising since I don't always love coffee flavors and don't drink coffee straight - - just lattes or fraps). Chocolate was pretty good, but I did not enjoy Peach Passion. It smelled delightful, just like a peach, but for me it was not an appealing taste. 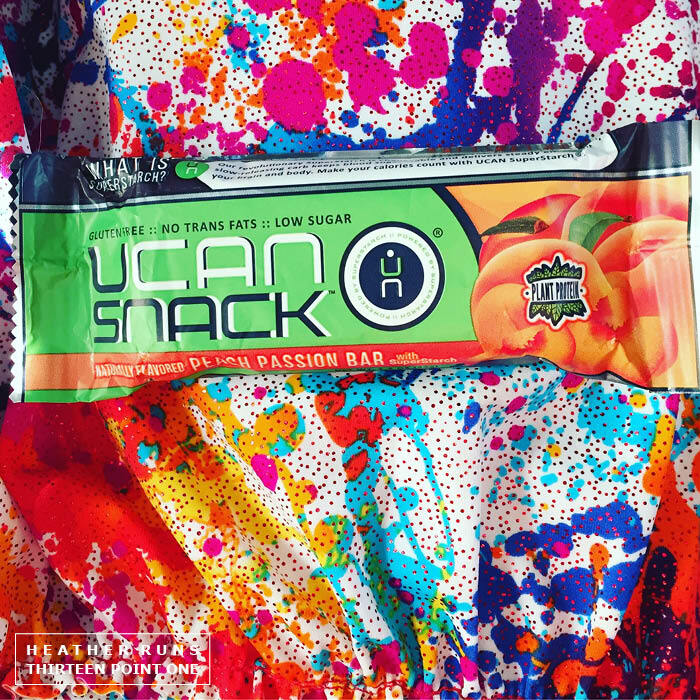 However, some of the other Pros testing these bars had Peach Passion as their number one flavor, so it's all about your own taste buds and what you like. So other than flavor, texture is a biggie for most. I'll admit that my first bar had me a bit taken aback. Texture can be a problem for me, and this wasn't super great. However, once I knew what it was like, the next 5 bars were fine. I got used to the texture and then got past it pretty quickly. It made it easier to eat the other bars and enjoy them. The first bar I tried eating during a medium run of 8 miles. This did not go so well. Part of the problem was that it was 80+ degrees out, so the chocolate melted a bit in the wrapper, sticking to it some. It was a bit hard for me to get past the texture to take more than a few bites. The first bite was way too big and it took me a while to chew. A bit exhausting when also trying to run haha. 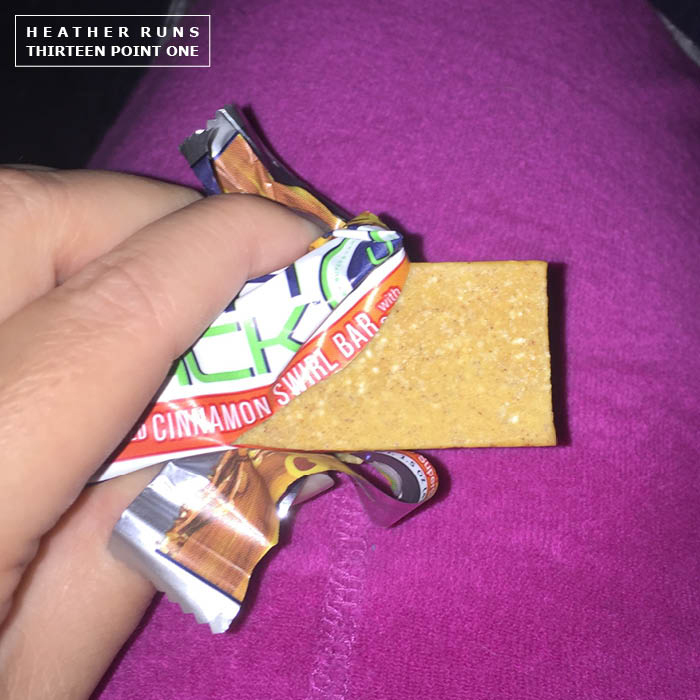 Next time I ate a bar as a post-run snack. Cinnamon Swirl was the flavor and I loved it! I ate Coffee Bean as breakfast one morning, and that was quite tasty too. Definitely passed the texture concern – I was able to eat the bars no problem. I tried to eat Peach Passion before a race, but I just didn't love the taste enough to eat the whole thing. I put the other chocolate flavor in my purse, and one day I was running late for work and didn't eat breakfast, I was starving an hour in. So happy I had that bar in my bag so I could eat it to hold me over to lunch. 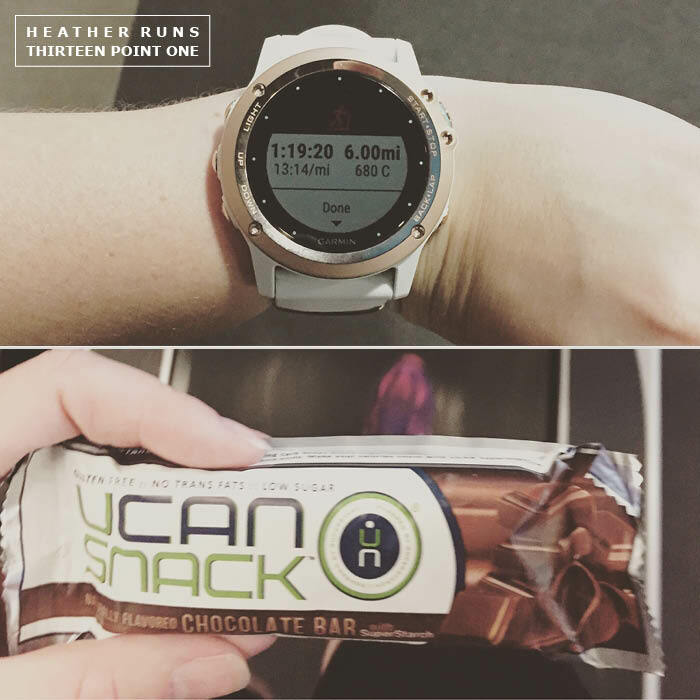 I've found I enjoy the bars before a medium/long run (about 30 mins before) or as a snack during the day to curb that pesky hunger. For me, during wasn't a good option – just not something I could carry and eat easily enough during. Not to say others didn't enjoy going that route. Again, like tastebuds, it just comes down to personal preference. 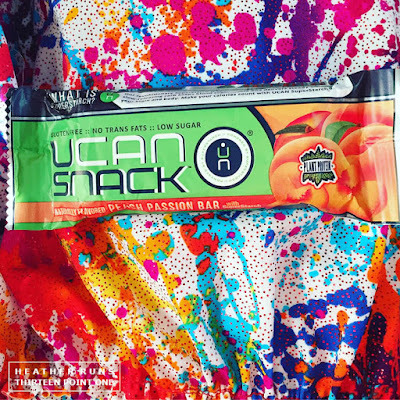 Now, what is it about the Generation UCAN bars that set them apart from other bars? It's the SuperStarch. What is SuperStarch? "Our revolutionary SuperStarch is changing the way you energize! This natural, slow-releasing carbohydrate keeps blood sugar stable and delivers steady energy for your brain and body. Make your calories count with SuperStarch, the key ingredient in UCAN products. Sustaining your blood sugar is the key to maintaing your energy so you can perform your best. 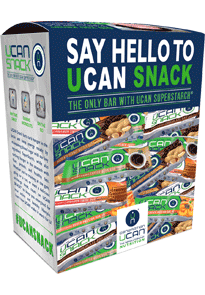 UCAN prevents the spike and crash of sugar-based fuels and is gentle on the stomach. No more bonking and GI distress!" I did notice that it helped keep blood sugar levels stable and gave me a more steady stream of energy than other bars I have tried. Definitely better than snacking on chips or candy, right? I think if you expect a bit of a strange texture, you can get past it pretty quick and start to enjoy them. I had no tummy problems with these (though I'll be honest and say that I don't generally have stomach problems). I'd definitely recommend giving these bars a shot, and if you don't like a flavor, don't write them off. There are a few different options and you should try them all to find which one you like best. You might find you like them all and can't pick a favorite! Though I saw cinnamon swirl is my favorite, it was a close second with chocolate and coffee bean. I have to get my hands on some of the chocolate peanut butter – sound awesome. Get yourself some of the bars (or any of the UCAN products) saving yourself 15% with code BIBRAVE.